All my slow cooking recipes are now online and starting today, I will add all the recipes shared weekly to my online del.icio.us site too. It's been a quiet, relaxing, go with the flow weekend. My favorites. I've been busy and running around and sorta kinda crazy lately. Beautiful blue skies but nippy outside. I keep looking at the calendar and hoping that by some miracle it will just stop or rewind or something, anything, to make the time slow down. 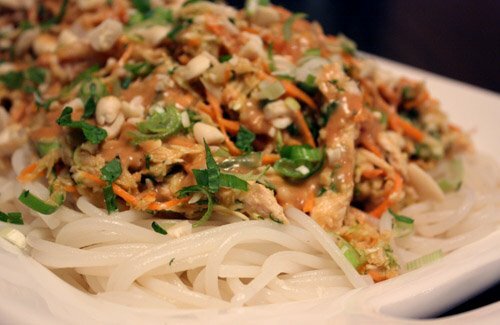 I did a similar meme over at my food blog, highlighting all the best recipes of 2009. Go on over and take a look "Best of 2009". 1. 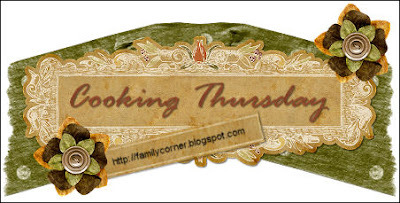 Cooking Thursday is open to anyone with a blog that wants to join . 2. 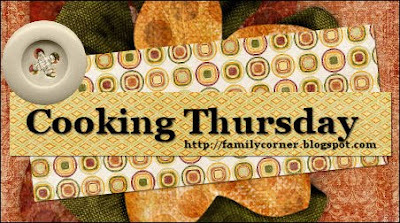 In order to make visiting you as easy as possible, please link to your individual Cooking Thursday post instead of to your home page. 3. If you're new to my weekly feature, please let us know by adding a "New" or "first time" in brackets after your name in Mr. Linky. 4. 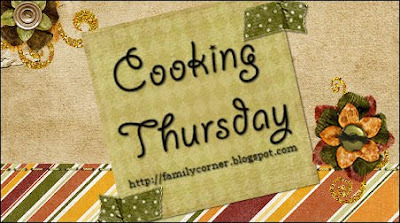 Right click on the Cooking Thursday banner and save to your hard drive, then upload and post the same way you would a picture, I would appreciate it if you would use one of the banners I provide and not make one of your own, it will be easier to follow this way. 5. 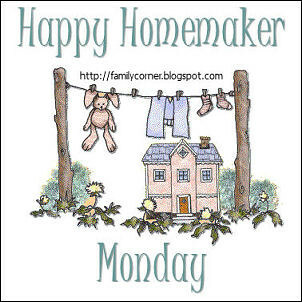 Please mention Cooking Thursday in your post and link back to my Cooking Thursday post. I'm not one of those, matter of fact I'm not into resolutions at.all. I learned pretty quickly that trying to make a list just because it's what everyone else does, is wrong, wrong, wrong, wrong and not for me. You gotta do what fits you and what is right for yourself. All that to say, I don't make resolutions, I find it a total waste of time and I think that if you set your mind to something and have a goal in mind it should be done at any time of the year, not just when it's about to end. But one thing I realized today is that I do want to give it all I have when it comes to cutting down on budget and watching what we spend. Ugh, just the thought makes me tremble, it's not easy and I'm sure not that enjoyable either but if I put my mind to it, it's totally doable. I just won't bore you with that right now, I'll save that for another post tomorrow, oh and speaking about tomorrow being that it's Thursday and usually my Slow Cooking Thursday post, keep an eye out because it's getting an overhaul. I've noticed the slow cooker recipes are starting to slow down and I keep getting emails saying "I'm out of recipes but I really want to continue participating, what can I do?" Here's what you can do....you can continue to join in every Thursday because my meme is going to change it's name to Cooking Thursday and that includes crockpot and any kind of recipe you wish to share. What do you think? I don't know how we got on to this from resolutions but just go with the flow *snicker*. Curt went back to work today and the house feels so empty without him, it's just me and the kids and suddenly it dawned on me that the holidays are over, the idiot that I am, I acted surprised, not like I had just spent the past few days telling everyone that will listen that I'm dying for life to get back to normal. Go figure. 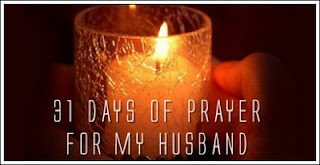 The only thing I want to hold on to, is having everyone home during the day, spending every hour together and yes, I know, that at some point you start butting heads and telling your husband "don't you have to go back to work? "......but when they leave then you miss them and it doesn't help that your cellphone beeps with the sound of a new text message that says "Hi, I miss you all". Simple and yet so poignant! I don't know what it is about that chore that makes me smile until my cheeks hurt, such a mundane thing in the day but I get such pleasure out of it. Isn't she beautiful? This chicken or hen or whatever you call them...... I feel like such a ditz at times and embarrassed to admit that I still don't know the difference between each which kinda impedes my plans for wanting to raise such animals one day.......you know, when my husband retires and we live off base in our own house, with a big back yard and feathered animals running around. That was one of the many chickens/hens/roosters/whatever running around the Sahuaro Ranch we visited this weekend. Anyway, now that I've shown the world how ignorant I can be about some things *snort* I'll just end this post by sharing our sunset this evening, it's gorgeous and it takes your breath away and it makes you realize that no matter where you live or how much you dislike the area, sights like these can make it all bearable. and we're starting a new year, a completely blank canvas again. Doesn't it scare you in a way? I always feel like this when we're close to New Year's eve, it's that whole anticipation of what's to come and what will happen, though completely ridiculous because worrying about things that you have no control of, are just a waste of time.....in MY book! Anyway, Christmas is over, we had a wonderful time and it was great that we got to spend it with family this year instead of the usual 4 of us. We laughed, we ate, we talked, we played games and we sadly sad goodbye yesterday as they headed out the door on their way home. After they left though, I completely pulled down all the Christmas decorations inside the house, including the tree. You might laugh or think I've done lost my mind but you see, once the holiday is over I just want my house back to normal. I didn't touch the outside ones yet, those will come down this weekend. While my in laws were here, we took them to the Saguaro Ranch Park, we wanted to walk around a little and Nicholas had the perfect place to ride his new scooter, besides, there's nothing like walking through a Rose Garden. It's like an assault on your senses, the colors and the scents permeating the air. I'll show some pics, oh and if you've noticed the new header, those were taken there too. My in laws, Pat and Ken. It was interesting visiting with my father in law, having grown up in a farm himself he was able to explain what each machine did and how it works. But moving on, like I said we're almost at a new year and it's time for me to kick my own behind back into gear and start blogging every day, something which I've missed dearly. Well, I have lunch to prepare and I also want to settle into bed and read, I'll just say that it's THAT time of the month and you'll understand my need for a comfy bed, a warm blanket, a good book or tv show and chocolate....Oy! Cloudy and cold, we have another storm heading in so we're anticipating rain. YAY! Things going back to normal and the holidays being over, as much as I love the holidays, I always eagerly anticipate the normalcy. I got nothing....zilch....for some reason I just can't think of one which is ridiculous since I use shortcuts in my every day routine. That unfortunately far too many people still think of Christmas as a day for exchanging gifts and eating good food. It's sad that the real reason and the meaning behind this special day, goes unnoticed by so many. Wishing you and a very Merry Christmas and a Blessed New Year. I want to take the opportunity to thank you all for the comments, for the advice, for the words of comfort you have offered me throughout the year. I truly love all my blog readers, you make this girl feel special. It's been a long time since I've been able to walk around the house in sweat pants, thick socks, long sleeved shirts and a sweater. It felt so weird to me, like I was immediately transported back to Idaho and it was snowing outside inside of windy and rainy. 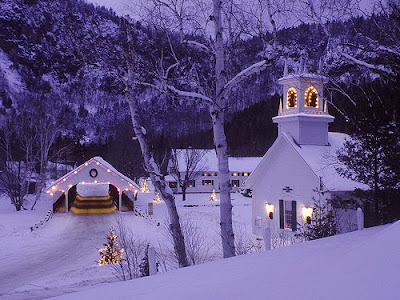 But I am not complaining because to me, Christmas just feels more real when I have the cold and the snow and the cozy candles inside the house coupled with the glow of tree lights and little villages. It's my favorite time of year, and also my saddest, it makes me blue, it makes me nostalgic and it makes me miss my family that is far and those that have passed on. This year it also made me realize that though we try to tell our children that Christmas is not about just presents and Santa, there's a real meaning behind it, it's easy for kids to get side tracked and forget what really matters. After telling them the story of the birth of Christ again and what the real meaning of Christmas is, the kids asked if we can have a birthday cake for Him on the 25th, and who are we to say not to such a sweet idea??? That will be a new family tradition every year and I look forward to it. Do you have any special Christmas traditions with your family? I would love to hear about them. Oh I just heard my dryer go off, I've been doing laundry ALL.DAY.LONG. Good Grief, does it ever end? Anyway I have some last minute things to get done around here before company arrives, so I better get on with it. Am I the only one feeling like Christmas crept up on us this year? I could have sworn it was just August yesterday and now, here we are, just a mere 5 days away. I'm happy to announce though that my shopping is done, the gifts are bought, wrapped and placed under the tree, the teacher and friends gifts are taken care of and handed out and all that's left is waiting for the day to arrive. My in laws arrive next week on the 23rd and we're so excited to see them, there's nothing like spending the holidays with family and when you're military it's not always possible, matter of fact you spend more holidays alone than with anyone so it's extra special when you can sit back and actually enjoy the company of family. Let me show you some of my favorite decorations on the tree, there's far too many to post them all and you know what? Half of the lights on my pre-lit tree have gone out LOL I should get in there and fix it but you know, that would require removing everything from the tree, redoing the lights and then redecorating and quite frankly, I'm too lazy for that. Oh before I forget, I'm sure a lot of you already know about this site, but my kids love it during the Christmas season and they get a thrill out of tracking Santa. In the midst of all these Christmas preparations, we've been blessed with the most stunning sunrises and sunsets. Now if that beauty doesn't make you stop and take a breather, I don't know what will. Actually I think that is exactly what I'll do, take my cup of hot coffee with my creme brulee creamer (which btw, is amazing) and I'm going to sit outside in the back yard and enjoy it. Nicholas' First Grade Winter Concert! Oh boy, not much time left!